Mongolia is a large country - about a third the size of Europe - sandwiched between Russia and China on the Asian Steppe. It's a country that conjures up images of far-off lands and a completely different pace of life. This image really is reality, in this land of Genghis Khan and wandering nomadic clans. Projects are available for anyone interested in volunteering in the developing world; whether you are on a gap year, a summer placement, or a career break. 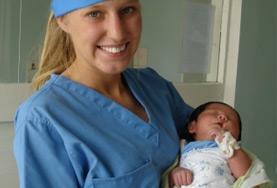 Placements are available in Teaching, Care, Medicine & Healthcare, Journalism, Sports, Law & Human Rights and Business. 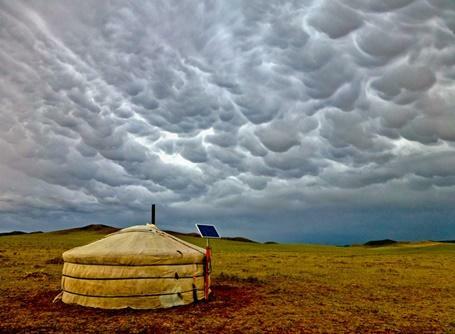 If you want to get away from it all you can participate in our Nomad Community Project, on the Mongolian Steppe. 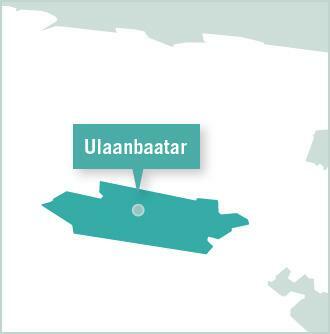 Projects Abroad Mongolia is based right in the centre of Ulaanabaatar, and most of the projects are based here too. With the majority of our host families and projects being concentrated around the centre of the city, there is a very strong volunteer community here. Our Nomad project is based around two hours to the west of Ulaanbaatar, out on the vast Mongolian Steppe. Mongolia is a destination for adventurers, with a history that encompasses Chinese dynasties and Soviet Communism. It's hard to imagine that this ancient state was once home to the people who ruled the largest empire the world has ever known - at one point stretching from Indonesia right over into Austria! The modern Mongolian is a descendant of Genghis Khan, a son or daughter of the Communist era and is living in a 21st century ancient state where Buddhist priests drive in Japanese jeeps across desert roads to their distant monasteries. Its unhurried capital city, Ulaanbaatar, has many contrasts. Soviet-style high-rise blocks sit alongside traditional tents - known as gers - which are dotted around the city. Modern businesses thrive, while Mongolians walk the streets in traditional dress. Around a third of Mongolians belong to nomadic or semi-nomadic herding tribes, and away from the capital the lifestyle is much the same as it has been for centuries. There are spectacular sights across Mongolia - from rugged and bio-diverse mountains to the wilderness of the Gobi desert (famed for its dinosaur bones!). It's a land crammed with ancient history and culture, with beautiful monasteries and stunning archaeological finds. Life in Mongolia is never dull. If you're after a different kind of adventure it's definitely the place to consider. You will be living in one of the world's most remote countries. Once outside of the capital, you will find that 'roads' marked on maps are not really roads and 'settlements' can be small and temporary. If you have a taste for adventure, you will want to explore the remote Altai Mountains and the Gobi desert. Travel opportunities might take you across the Steppe, where you could stay with a local nomadic tribe in a Ger. The unusual experiences you'll have will really make the trip worthwhile. You may find yourself gathering camel dung to put on the fire! You will certainly be riding horses, and drinking the traditional Mongolia drink airaag, fermented milk which can be either alcoholic or non-alcoholic. Even in Ulaanbaatar, you will soon realise that it's quite a different kind of capital city. Yes, there are bars and restaurants, but there's a lot of tradition too. Try the local food, especially the mutton. 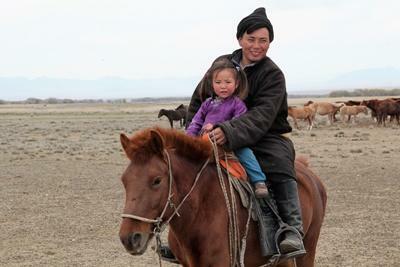 It's also easy to get a quick fix of the country life even while you're based in Ulaanbaatar. The capital is flanked by the 'four holy peaks', with forests and grasslands full of animal and bird life: ideal hiking territory! 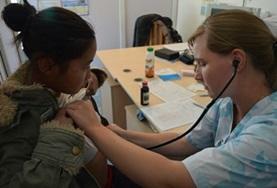 Assist local psychologists at one of our partner health care centres in Ulaanbaatar. Work for a local newspaper, radio station or TV network. You will find no shortage of topics to report on whilst living in one of the most diverse and fascinating cities in Central Asia Ulaanbaatar. 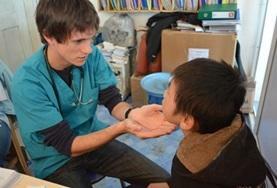 Your Medicine Elective placement in Mongolia will be supported by professional local doctors and surgeons. 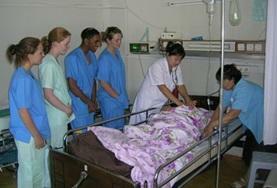 You will be based in a central hospital in Ulaanbaatar. 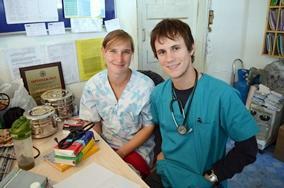 Gain valuable medical work experience at a clinic or hospital in Mongolia's capital, Ulaanbaatar. You will observe skilled local staff, assisting where necessary. 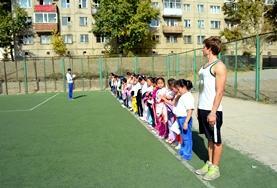 As a volunteer on a Nursing project you will be based in the capital city of Ulaanbaatar. 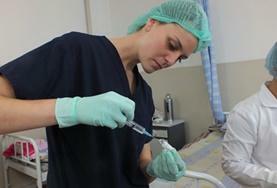 You will have the chance to observe in various departments working alongside experienced local staff. Mongolia is a fascinating country in which to live and work. 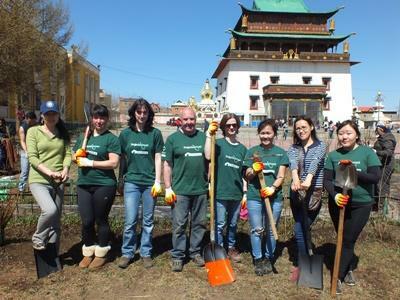 By volunteering on a Physiotherapy project you will gain valuable experience whilst being able to enjoy the sites of the capital, Ulaanbaatar. Take part in an intensive standalone Mongolian language course or sign up for language tuition alongside your regular placement. 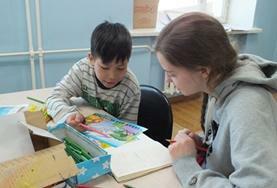 This volunteer business project involves working with various government departments and companies in Ulaanbaatar. You will use your expertise in areas such as secondary exports, tourism, and utilities. 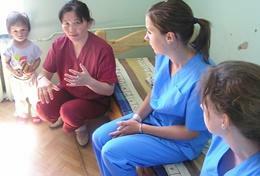 Gain experience working in Mongolia alongside fellow professionals and share ideas about psychiatric treatments.